Raymond collaborated with Christian Gibson and renamed the company to Lyon-Raymond in 1943; together they created the narrow aisle truck concept. They constructed the first narrow aisle straddle truck in the U. S. in 1950 and were granted a patent for their designs in 1951. By 1953, Lyon-Raymond changed its name once again to Raymond Corporation and hit the 1, 000 truck mark on their production lines. In 1954, Raymond Corporation started production of the reach truck and by 1956 Raymond Corporation was listed on the stock exchange thanks to president and CEO George G. Raymond Jr. Raymond Corporation continued to thrive and produce cutting edge trucks including the 4D four way reach truck in 1957, the side-loaders in 1963, the double deep reach trucks in 1971 and the very narrow aisle trucks in 1974. Along with these developments, Raymond Corporation switched to SCR Thyristor Control in 1965, integrated wire guidance on order pickers in 1966, and switched to intelli-drive microprocessor controls in 1988. The end of the family owned Raymond Corporation came in 1997 when it was purchased by BT Industries of Sweden. BT was acquired by Toyota in 2000 along with CESAB from Italy. Toyota renamed its material handling division at this time and created the worlds largest forklift company: Toyota Material Handling Corporation. 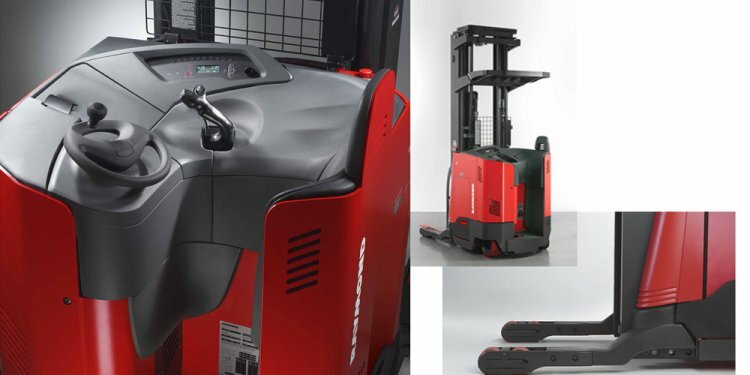 Since then, Raymond and the rest of the Toyota Material Handling division have developed the first AC powered reach-fork truck and have begun research in using hydrogen fuel cell power to run lift trucks. Intella carries a large range of Raymond forklift parts. We or call us at 616-796-1288 for assistance on Raymond forklift parts.